Meet the friendly staff at River North Small Animal Hospital! 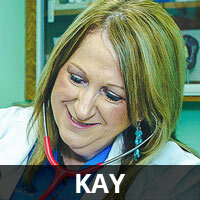 Dr. Kay Herrington is a native of Conroe, Texas. She graduated from Texas A&M with a Bachelor of Science Degree in Biomedical Science in 1981. She received her Doctorate of Veterinary Medicine from Texas A&M College of Veterinary Medicine in 1985 and began her career as a small animal practitioner. She first practiced in Granbury, Texas for 4 years. She purchased River North Small Animal Hospital in 1990 and made Stephenville, Texas her home. Dr. Herrington has been very active in her community. She served as President of the Chamber of Commerce and Rotary Club. She co-chaired Stephenville's first "Relay for Life "raising money for Cancer research and programs. She was instrumental in starting the "Leaders of Tomorrow Banquet "which provides scholarships for deserving young adults She helped pioneer "The Walk of Fame " to recognize and give tribute to those individuals whose great accomplishments in the Rodeo and Equine Sports arena have earned Stephenville the title of " The Cowboy Capital ". Dr. Herrington was chosen as the Zonta Club "Woman of the year". She is a mother and loves spending time with her daughter and providing mentorship for youth. Dr. Kay enjoys showing dogs. As well as her dogs she loves spending time with her cats and horses. Dr. Herrington has participated in training horses and has enjoyed many aspects of equine sports from barrel racing to dressage, halter, western pleasure, competitive trail riding, reining and cutting. At this time, she has 4 dogs, 2 cats and 5 horses. She also enjoys spending time with her friends and sports, especially football and of course shopping! To assure that her clients receive the best care Dr. Herrington has chosen to be a member of the American Animal Hospital Association. To achieve the status of an AAHA Accredited Hospital the hospital and its employees must undergo an intense comprehensive inspection involving over 900 rigorous standards on an ongoing basis. Dr. Herrington is dedicated to excellence in companion animal health care. Her personal message: I LOVE WHAT I DO!!! Thank you to my wonderful clients for allowing me to be an integral part of you and your pets lives. We seek to provide the highest quality of medicine in a caring environment. Morganne is originally from Lake Charles, LA and moved to Stephenville from Baton Rouge, LA. Morganne graduated from Louisiana State University (LSU) with a Bachelor’s in Animal/Dairy/Poultry Science in 2010 and her Master’s in Animal Science in 2013. 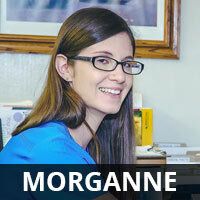 Morganne has been working at River North Small Animal Hospital since November of 2013 and has worked in the veterinary industry since 2005. She enjoys traveling and has done wildlife research in Botswana and South America. She has 3 dogs, 2 cats, and 1 snake. 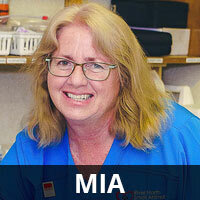 Mia has been a licensed veterinary technician for 35 years. She has experience in all facets of small animal medicine but especially enjoys dentistry, radiology, and assisting in surgery. Outside of work Mia can be found either riding her horse, creating art or traveling with her husband, Dave on short term mission trips to Kenya and Thailand. Niki Peters attended Tarleton State University and graduated in 2012 with a Bachelor’s degree in Animal Industries and a minor in General Business. She is married, has 1 son, 2 dogs, and a cat. She has been working in the veterinary field for over 10 years. She really enjoys working with animals and getting to know all her River North clients.